The small town of Camp Verde sits just off of I-17, about an hour-and-a-half north of downtown Phoenix and an hour south of Flagstaff. The last time I was in this area I visited a brewery in the town of Pine. 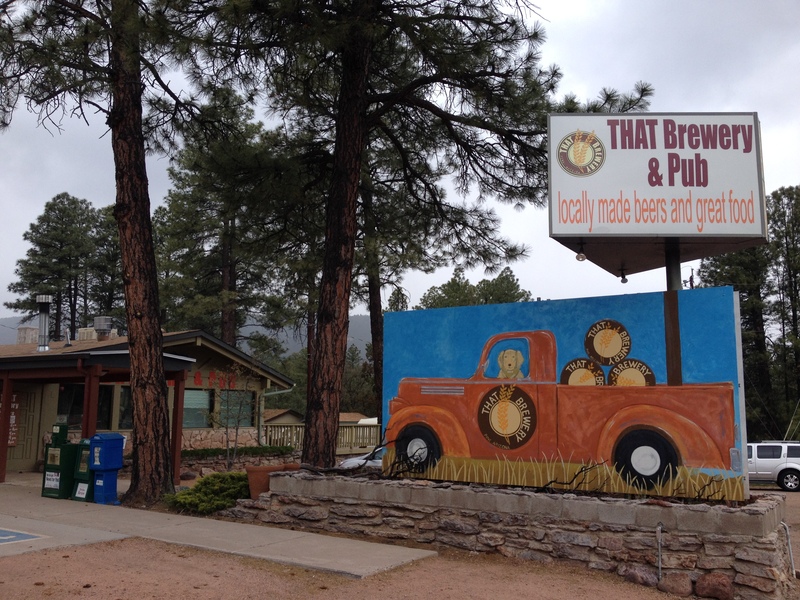 That was the first part of an adventure I called The Rural Brewer Tour, in which I planned to visit microbreweries in parts of the state that felt remote to city slickers like me. It was a rainy night when I drove through Camp Verde. The city looked like a ghost town on a moonless summer night. Raindrops hit my windshield and I could see the thunder roll in my rearview mirror. The Classy Alcoholic has been through many adventures since the start of this blog and has already traveled through most of Arizona’s major cities. But there is another area that lies just between two of the more prominent regions. This area is called the Mogollon Rim and it’s pretty much equidistant between Phoenix and Flagstaff. This region starts in Yavapi County around I-17 on the west and extends about 200 miles to the east to nearly reach the New Mexico border. If you’re driving around this area you’ll start to discover a lot of long, rural roads with green landscapes that don’t feel like most people’s typical idea of Arizona.